On May 1, 1993 I graduated from U.F. I began pursuing the degree in 1986, the year I returned from Australia. 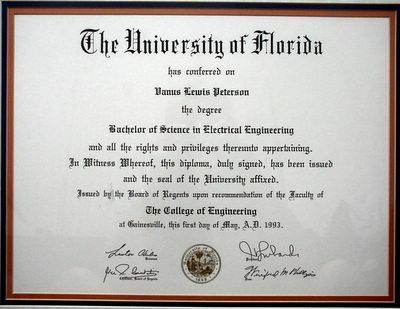 I enrolled at Pensacola Junior College in the fall of '86 and began my studies at U.F. in the Fall of 1989. 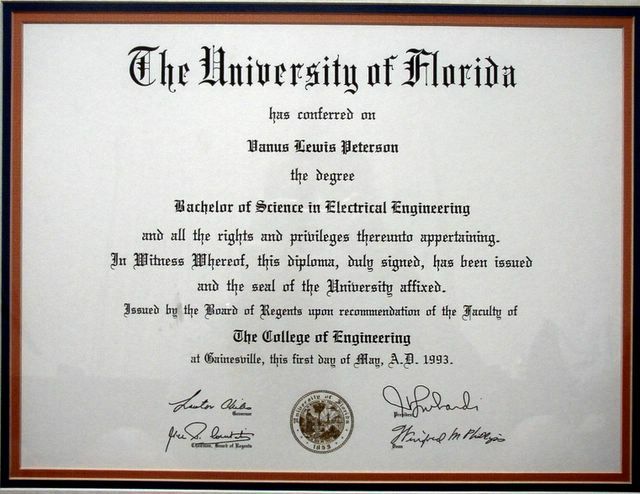 The reason it took me so long to graduate is because I worked every other semester as a "co-op" student at Gulf Power Company in Pensacola to earn money for school.